The American flag is a common sight in this country— specifically the modern version that has 13 red and white stripes, representing the original 13 colonies, and 50 white stars on a blue background, symbolizing the 50 states. However, there are many other incarnations of this red, white, and blue banner and they each represent important steps in the history of this nation. The stories of the United States' flags, as well as the flags themselves, are preserved in several museums throughout the United States. Following are some of the most famous flags in American history and where to learn more about them. Betsy Ross is credited with designing the first flag for the new nation in 1776. Her design included alternating red and white stripes and 13 white stars arranged in a circle on a blue background. On June 14, 1777, the Second Continental Congress adopted her flag and thereby established Flag Day. The Betsy Ross Flag no longer exists, but you can find a replica and learn more about Betsy Ross's contributions to American history at the Betsy Ross House, which also serves as the headquarters for Flag Day celebrations in Philadelphia. The home where Ross purportedly stitched together the first flag has tours with actors in colonial period costumes. "The Star Spangled Banner" is, of course, the national anthem of the United States of America, but it also refers to the flag that flew over Fort McHenry in Baltimore during the War of 1812, inspiring Francis Scott Key to pen the anthem. Today, the original Star Spangled Banner, which sported 15 stars by 1814, hangs in the National Museum of American History in Washington, DC. This may be America's most important flag, the one which Americans rallied behind and developed a deep affection for during the "Second War of Independence," or the War of 1812. While the Star Spangled Banner is in Washington, DC, the flag and the anthem it inspired are still heralded up the road in Baltimore, where visitors can check out The Star Spangled Banner Flag House, which is the home where the flag was made by a seamstress named Mary Pickersgill. The Flag House contains exhibits about the War of 1812, the life of Mary Pickersgill, and life in Baltimore during the late-18th and early-19th centuries. 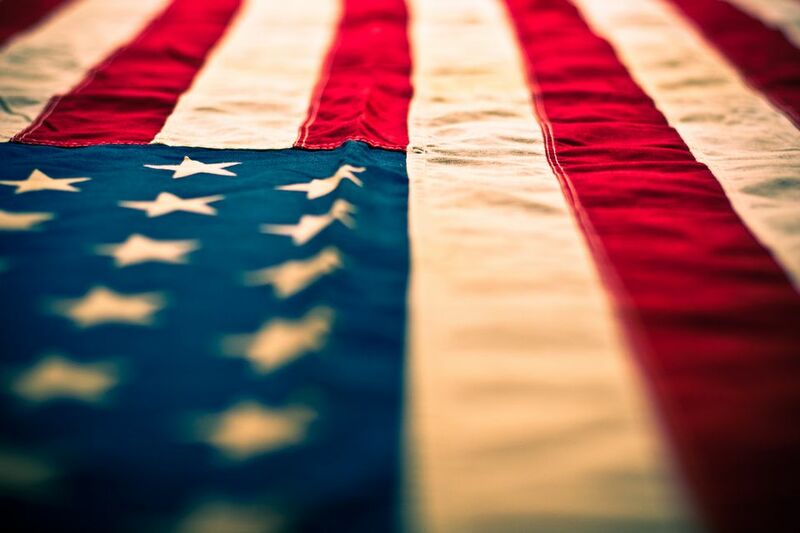 There have been many variations on the flag since the days when the Star Spangled Banner flew. But few flags have served as symbols of an era quite in the way that the 9/11 Flag has. This flag, flown over Ground Zero in the days following the terrorist attacks of September 11, 2001, had been a traveling exhibit for most of its existence though it is an integral part of the September 11th Memorial in New York City. On Flag Day 2012, the 9/11 Flag became connected to the Star Spangled Banner as it traveled to the Flag House Museum in Baltimore to have threads of the original banner sewn into its fabric. Each of these flags has historic significance and they are all important to our country. America's current flag would not look the same if it wasn't for Betsy Ross' first flag and the many flags that came after hers. Visiting these famous American flags are a great way to travel and learn more about American history as you do.